Well, they're dropping like flies from Bob's blue team. After telling Mandi that she wasn't The Biggest Loser, host Alison Sweeney had the black team come into the elimination room, where she informed everyone that they would all be going home to spend a week with their families. Since they've been at the ranch for eleven weeks, you can imagine what wonderful news that was. The Biggest Loser folks made sure the contestants didn't get any rest or relaxation while at home. They had to compete in the toughest challenge yet - a half marathon! Each player was also given a tin of sugar cookies and was told for each cookie they ate they could add 5 minutes to the player of their choice's marathon time. The contestant with the best time would win $10,000! Tara finished with the best time at 2:24:19; Sione 2:25:57; Helen 2:49:19; Aubrey 2:53:02; Cathy 3:15:21; Mike 3:19:38 Laura 3:24:00; Filipe 3:24:05; Kristin 3:43:45; Ron didn’t finish but he did complete 4 miles. With him having a bad knee, I was proud of him for running that far. Once everyone returned to the ranch, Alison informed them of their half-marathon times and announced the winner. Tara would have won but Helen ate a cookie in her honor. Sweet, huh? So Sione won the 10 grand. I told you... Tara is a machine! The woman is something else! The Weigh-In: Alison said that it was team against team once again and that the team percentage of weight-loss would determine the winner and send the losing team to the elimination room. Black Team: Mike lost 8lbs; Laura lost 6lbs; Tara lost 2lbs; Sione lost 4lbs; Filipe lost 7lbs; Helen lost 7lbs. Blue Team: Aubrey lost 5lbs; Ron lost 10lbs; Kristin gained 1lb; Cathy lost 1lb which sent the blue team back to a very familiar place - the elimination room. The blue team discussed who they thought should go home and Cathy told everyone she wanted to be the one voted off. So the blue team complied with her wishes and sent her home. Cathy Skell, a 48 year old title sales closing agent from Shiocton, Wisconsin, started The Biggest Loser weighing 293 pounds. When she left the ranch, she weighed 241 pounds. At the filming of her "Where Are They Now?" 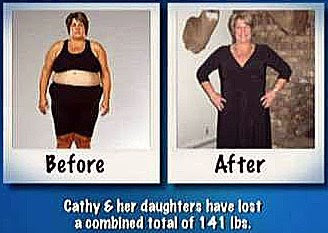 video, Cathy weighed 215 pounds, for a total weight loss of 78 pounds! "When I came to The Biggest Loser ranch, I weighed in at 293 pounds. Today I weigh 215 pounds. My biggest challenge at home at first was adjusting to my schedule. I love to work out in the morning because there are no excuses for me to get to that gym. It's a good feeling to walk out of that gym, and you go to work and you know that you got that work out in and you feel great for the rest of the day. I have pictures and I have clothes to remind me of where I was. I don't want to be there again. They say you switch one addiction to another. And I went from alcohol to food. America, I have a new addiction... I love to spin! I mean, I go to spin class. I look forward to the day I can ride my bike to Kristin's house, you know? Okay, she lives 10 miles from me. That's going to be wonderful. I look forward to that day. I introduced my daughters to it. It's wonderful to see what this has done for my daughter Carrie, my daughter Stephanie. I have the best family support. My husband's been awesome. My daughters are fantastic. Sometimes my daughter, Carrie, she will beat me to the gym. Carrie: When my mom and sister came home for a week, I can't help but be inspired. The results are amazing. I did not think that I was able to run on a treadmill. And now I am running 4 to 5 miles at a time. 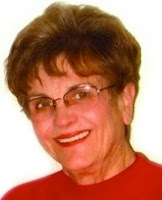 Stephanie: Since my mom has left for The Biggest Loser ranch, I have lost about 15 pounds already. Carrie: I've lost 48 pounds. I'm so proud of my daughters. I mean, anybody who even attempts to make a change like this, you have to be proud of them. You know, it's a lot of fun. And it's like, why did it take me being on The Biggest Loser to try taking on these additional classes and stuff like that? Seeing a change in the family means everything in the world. I just keep thinking... when I'm done with this, how powerful I'm going to be. Because I'm going to be strong emotionally and physically. It doesn't get much better than that." Kind of annoying to tag her with a 5 minute penalty like that. I don't think I'd be so happy to have someone cost me 10 grand. I missed the show this week, thanks for the update. It is always amazing to see the people transform on the show. and inspiring as well. The half marathon thing was pretty crazy though...I thought wow those poor people! My hubby has ran half and whole marathons as a state championship runner - it wasn't easy for him, i can't imagine how it must have been for them! Da Old Man - Yes, it was very annoying. I sure felt bad for her. She didn't deserve to lose the big prize in that manner. Chris - You're welcome! I agree. That's what keeps me tuned in to the show. TBL inspires me in a huge way.